We open with a story that’s a touch complicated. Hang in here with me, the usability point will come through in the end. My husband loves his railways. He’s mostly into railways as they actually are today, as a practical means of everyday transport. And so, he researches things like the best routes and ticket prices. We live near London (about 50 miles, and about 50 minutes by train). He then commutes within London using the Underground. The Underground is zones, so you pay according to the number of zones that you cross. Still with me? Well, it turns out that there is some overlap between the train network and the Underground network. So if you purchase a weekly season ticket for two zones on the Underground, it entitles you to a reduction if you travel outside London. It’s not huge but it saves him about £1 on his ticket. He turns up at the train ticket seller, shows his weekly underground pass, and gets his reduction. Or he did. Right up until the new rules, which mean that you can no longer purchase a paper weekly season ticket on the Underground. 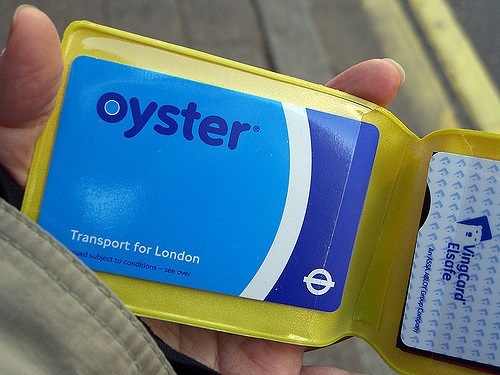 You must now buy an electronic weekly ticket and lodge it in your ‘Oyster’ card. (Hong Kong has a similar system called Octopus, and Washington DC has its Smart cards). But all he now has is a piece of plastic that could have all sorts of different tickets lodged in it – or be used up altogether. No way to tell unless you happen to have the special reader that’s installed on buses and at Underground stations… aha, we’re in the world of ‘visibility of system status’. We used to be able to glance at our tickets anywhere to see whether they are valid. Now, with the new improved plastic system, that’s not possible. Nor is it possible for the train ticket seller. Sadly, the operators of our local line declined to provide readers for their staff. But the ticket sellers are obliged to allow my husband his money off. It appears (and he’s actually checked with the train company) that the tickets sellers have to rely on his honesty in only asking for the deduction if he’s entitled to it. Hmmm. Lack of visibility of system status isn’t just an inconvenience for the traveller – it’s a potential loss of revenue for the train company. Don’t you just love it when a usability problem cuts both ways? Annoying the user and also harming the business? Previous Previous post: What’s News? And what’s not?